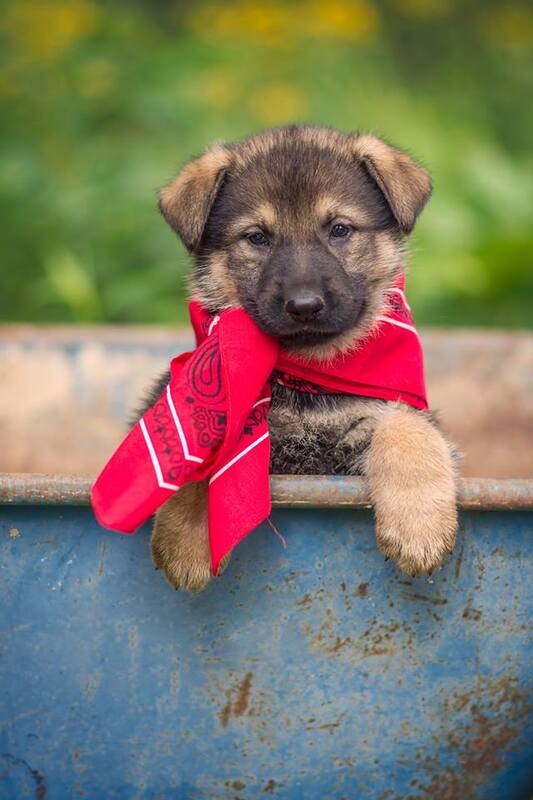 We raise purebred German Shepherd Dogs for family companions and all-purpose working dogs. Because we have a large family and a farm where we've raised many animals over the years it has always been of the utmost importance to us that our dogs be safe and trustworthy with children and also to possess respect, common sense and self control with our other animals. 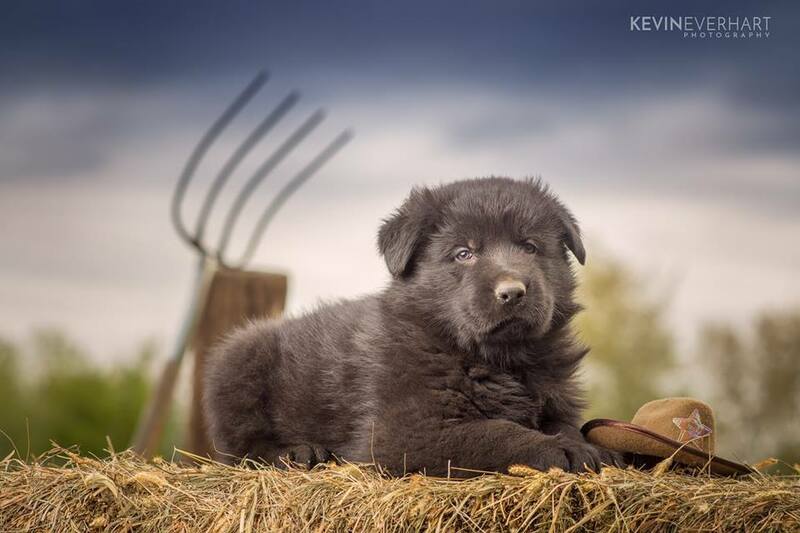 We appreciate our dogs being helpful working farm dogs and we breed accordingly to retain and enhance these traits. We place the majority of our puppies in homes where they quickly become part of the family. 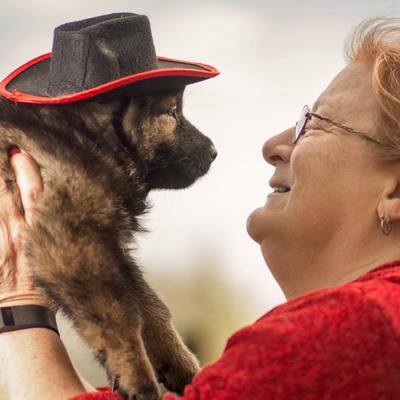 Some of our pups have gone to working homes for therapy, service dogs, SAR, and law enforcement working K9s, farm, and competitive sports like conformation, Schutzhund, agility, and obedience. 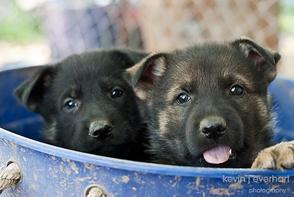 We offer AKC registered exceptional quality German Shepherd puppies for sale. We occasionally have older started puppies, young trained adults and quality breeding stock available for sale. We do adopt out some of our retired dogs to loving indoor only homes. The majority of our pups are sold on AKC limited registration for those who do not wish to breed or show in conformation. ​However we do believe in helping other breeders improve their breeding programs so we will occasionally sell puppies with AKC full registration. We believe that breeders are only improving the breed if they allow other breeders access to high quality genetics. We are not in competition with other breeders, this is a joint effort for the whole German Shepherd Dog community to work together so that we all can have the very best. We do reserve the right to not sell our dogs or pups if we do not believe they make an ideal match with a prospective buyer. "well disposed to harmless people, but no cringer, mad about children and always in love." This statement still holds true today in our breeding program. We desire our dogs to be very tractable, to have a strong desire to please, to learn and to work with their human in any task. The trainability of the German Shepherd Dog has always been a hallmark of the breed and we pay special attention to selecting sires and dams who were very easy to train with and driven solely by praise, without the need for food or gimmicks to hold their attention. Because we have a farm on the edge of a large forest parkland, it is vital that our dogs be intelligent, independent thinkers capable of making choices with good judgment to handle whatever farm life and wildlife throws their way. 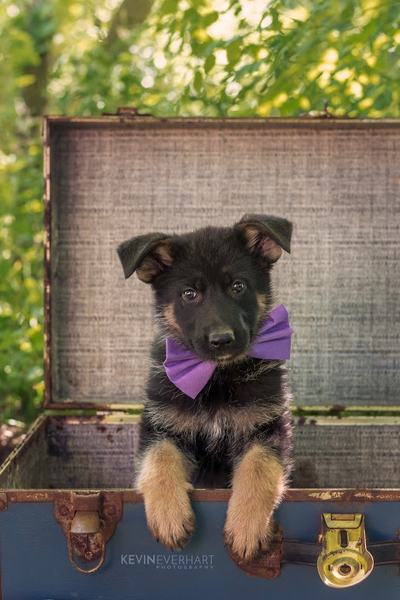 It is precisely the excellent reasoning abilities of the breed combined with their trainability that made us choose to own and raise German Shepherds. In order to insure that these characteristics breeds true in our breeding program, we have owned or personally met most of the grandparents or great-grandparents (some for many generations!) of the puppies we produce and we know firsthand what their temperaments were like. 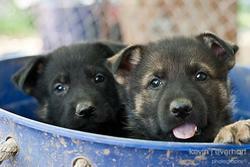 The German Shepherd Dog breed has a few known genetic health issues within the breed. Some are confined only to a few bloodlines out there that we will not allow in our breeding program. All of our dogs and puppies have physical examinations done by our veterinarians. We OFA or PennHip our sires and dams to make sure we are not breeding dogs who have hip or elbow dysplasia and every dog we own has now been DNA-DM tested. ​We have never experienced any debilitating genetic diseases with our sires and dams and will not breed dogs with any known, expressed genetic health problems. ​We breed our dogs to work with us, for us, around the farm. With a little herding, eliminating varmints, keeping the numerous coyotes away, alerting us to any potential problems, carrying objects, keeping watchful eye over our grandchildren, etc. There is always a job to be done around here. We are constantly amazed by the versatility of our dogs. Sheep herding and flock protection was the original purpose of the GSD. 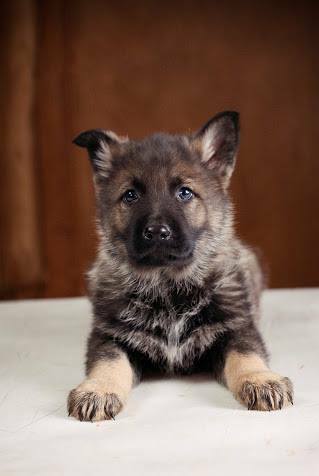 Later, the breed founder decided that the breed was also ideal for police and military and campaigned for the breed to be used as police dogs and military dogs by developing a testing method and competition called Schutzhund (translates to "protection dog") to select breeding stock with the desired drives and workability and to showcase the breed's talents. Schutzhund entails temperament testing, protection work, tracking, agility and obedience. No other breed in the world has such a rigorous high level standard of testing and with these traits so well ingrained into the breed they became ideal candidates for other tasks such as seeing eye dogs, service dogs in almost any capacity where a service dog can be of help, search and rescue (SAR,) therapy dogs and more. Our dogs do possess correct protective instincts with the ability to use good judgment to discern between truly dangerous, threatening people or animals versus those who do not mean any harm. We firmly believe that the best protection dog is the dog who is social and safe out in public. to protect you and your family in a real-life bad situation. Our dogs are very people oriented, they strongly need and want a daily relationship with their human(s) and because of this we will never sell to someone who is looking for a solely outdoor guard dog or junkyard dog, there are other breeds better suited for solitary life. Our dogs are not. Some call our ideal type the "Golden Middle." We would like to note that we do prefer the larger side of the standard, with females in the 80-90lb range and males in the 85-95lb range. However, we choose temperament and health over size when selecting sires & dams and we do not breed for oversize giant dogs. Though we do not breed for the highly political American showring (AKC) or German showrings (SV, WDA, UScA,) our dogs are bred according to standard and may be shown in any show venue in North America. 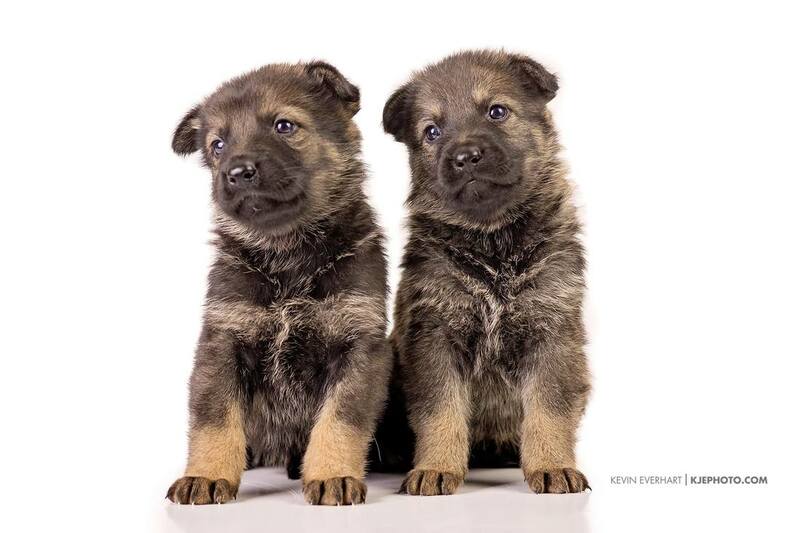 If you prefer the true standard German Shepherd Dog and you would like to explore the show worlds with a pup you purchase from us please let us know ahead of time so that we can help you select the puppy with the best show potential from the litter of your choice. The UKC and IABCA national dog clubs are the ones most appreciative of our standard type German Shepherd Dog and will be easiest for the novice handler to succeed in. Our pups have also been popular with youths who compete in 4H and junior handler classes with their dogs. Solid Black and Sable German Shepherd Puppies Golden Haus K9 Litter. We are located in the central Ohio area in Groveport, just a few minutes south of Columbus, OH. 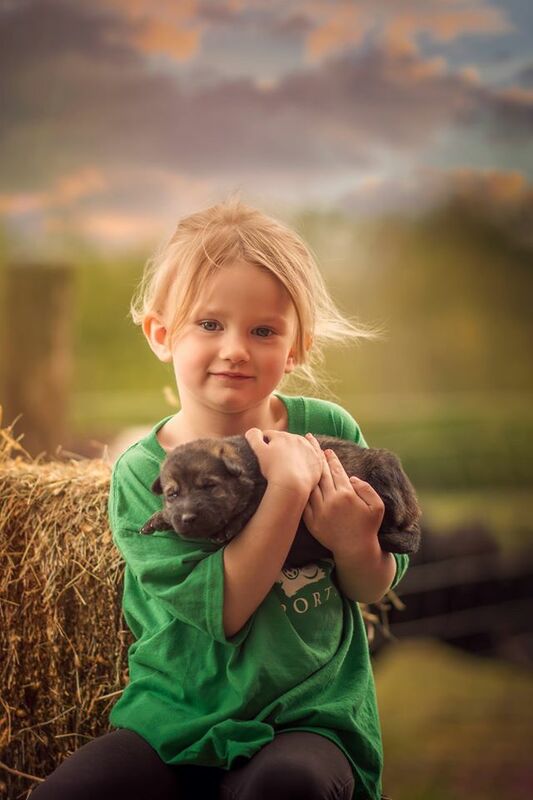 We do not ship puppies, we prefer to meet our puppies' new families in person here at our kennel and home. Most of our puppy families come from Ohio, Kentucky, Pennsylvania, Michigan, West Virginia, Indiana, Florida, New York and other New England states. Just over the past year we have had clients travel by car from northern Wisconsin, upper peninsula Michigan, Oklahoma, North Carolina, and Mass., Maryland, and upstate New York. We have also had a family fly in from southern Florida, rent a car, and drive back home with their new puppy. We do have puppies across all of the East Coast and Midwest and even as far away as Costa Rica. Although we do not do shipping to buyers sight-unseen, you may fly here (to Port Columbus, which is very close by) meet us and your new pup and then travel home by plane with the pup. At 8 weeks old most of our puppies are still within the size limits that most airlines allow in the cabin as carry-on. 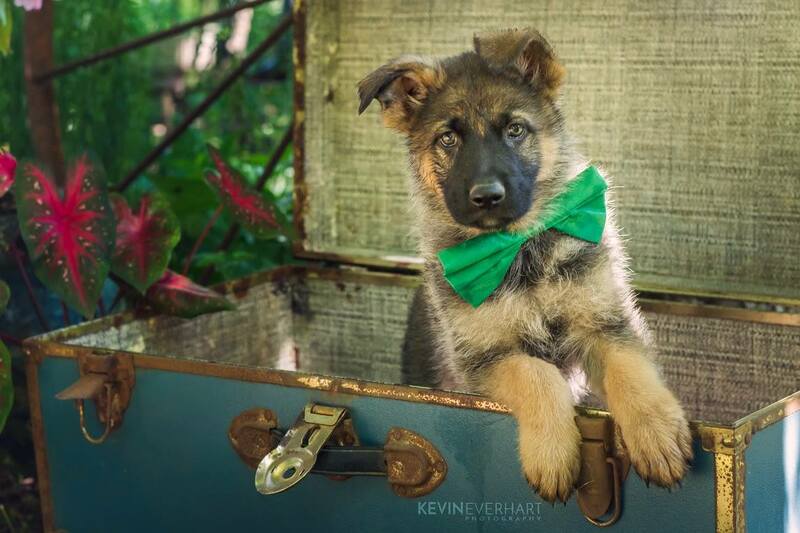 The German Shepherd Dog is also commonly known as the GSD, German police dog, Alsatian and Deutscher Schaferhund. Common misspellings of the breed name are German Sheppard, German Shepard, German Shephard, German Sheperd and German Shepperd. East German working line, DDR, angulation, straight back, Czech Republic border patrol working lines, all are different ways to describe some of the different types and characteristics of these dogs. We only breed for standard acceptable colors with rich pigments. Though we are not opposed to non-standard colors, they are not our preference. We do like variety in our colors so we raise red sable, dark sable, black sable, solid black, bi-color, blanket-back and saddleback in black/tan and black/red. We primarily raise stock coat and plush stock coat dogs.